I’ve lost my whole wallet containing my birth certificate, I.d. and social security card. OFFICE IS LOCATED IN ST BETHLEHEM OFF WILMA RUDOLPH BLVD BETWEEN 101ST AIR BORNE PKWY & TRENTON RD—FROM WILMA RUDOLPH BLVD, TURN ONTO CENTER POINTE DR AT THE US BANK SIGN (RED, WHITE AND BLUE SIGN). Clarksville TN Social Security office assign Social Security numbers to U.S. Citizens.They also maintains earnings records under workers Social Security numbers and administrates Supplemental Security Income program for the aged, blind and disabled. 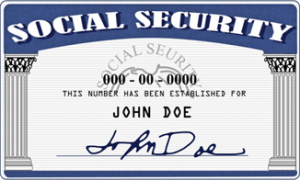 Social Security Answers is here to help. Ask your question.